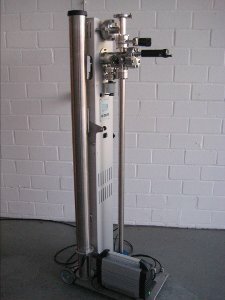 SURFACE UHV transport cases connect the UHV system at your lab to the light sources and analysis tools of the world. 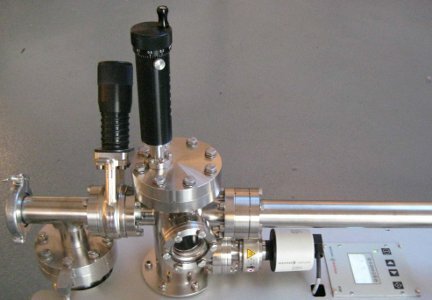 Sample transfer under UHV conditions in a comfortable and secure way – compact and flexible. The transport cases are suitable for every kind of transport: car, train, airplane. 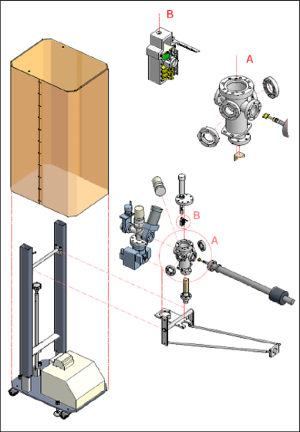 Initial pressure can be in the 10−10 mbar range, and even after several days the pressure in the transfer case will be as low as 10−9 mbar – without any power connection – thanks to the advanced pumping technology. 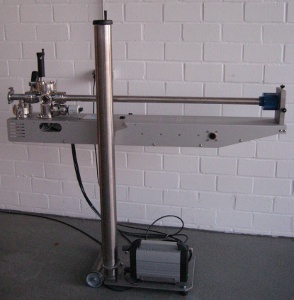 SURFACE transport cases are equipped with SAES NEG pumps providing a high pumping speed without applied power. 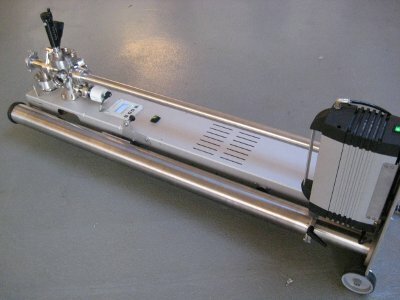 The chamber and the manipulator are bakeable so that the installed NEG (Non-Evaporable Getter) pump can guarantee low pressure during transport for extended periods of time.